Our safaris in Rwanda take you to visit mountain gorillas in Volcanoes National Park and also to visit Akagera Park for wildlife and the big four. We also tailor trips that take you for Chimpanzee tracking in Nyungwe National Park and for a Kigali Tour to the genocide and local markets which offer you an insight into Rwanda’s culture. Rwanda has one of the best scenery in Africa with a great number of hills, hence the Name ” the country of A thousand Hills”. It has a comfortable weather all year around to help you visit Rwanda’s attractions at the time most convenient for you. Other activities apart from Gorilla safaris include the cultural tour. You will visit the genocide memorial, the Cultural centers, the twin lakes or Bulera and Ruhundo, Nyungwe Forest National Park, Lake Kivu and its famous Napoleon Hut and also see the dances in Rwanda. Rwanda in the past was a recognized safari country with natural treasures such as the Mountain gorillas in the Volcanoes Park and PNV. But the 1994 genocide changed the attention of the world. Today Rwanda has recovered from the infamous genocide, Tourism and other sectors of the economy are improving at a fast rate. Are you looking to go on Holiday in Rwanda or break away from your busy Rwanda Business trip? AA Safaris and Tours ltd can organise a tour for you ranging from 1 Day Gorilla tour to as many days as you wish to stay on a safari in Rwanda. 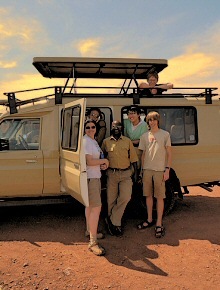 We offer the best Rwanda safaris that suite your budget and also time frame. Our guides have experience of over 3 years in running memorable Gorilla safari Holidays. We also have the ability to tailor your safari to suite the client interest and budget. Below are some of the Sample Itineraries that you can take on in Rwanda. 3 Days Rwanda Gorilla Safari and Tour. This trip suits those travelers with a few number of days of their vacation holidays. The trip take you to Volcanoes National park to see mountain gorillas. It also offers an opportunity to visit the Neigbouring communities, take a canoe around the Gorillas, Visit the Twin lakes and many more. These options can be done after gorilla tracking on the day before. This African Rwanda Safaris, takes you to volcanoes national park to visit Gorillas and also to hike one of the Volcanoes Bisoke that make up the 8 Virunga Volcanoes of which one is still active till today. The hike to the top of Bisoke offers beautiful views of Crater lakes and if you are lucky you might spot the active Volcano. Visit Akagera National park of Rwanda for wildlife and Volcanoes National park to see Gorillas in their Natural habitat. Ruanda is one of the countries in East Africa where you can see gorillas in their Natural habitat today majorly because of the work of Dian Fossey that started in the 70″s This trip will take you to see lions, elephants, buffaloes and crocodiles and also gorillas at the same time. Gorilla Tracking Uganda and Rwanda. Visit the endangered gorillas in Bwindi forest or the Volcanoes Park in Rwanda. This is the best Uganda and Rwanda safari for you to compare the best country to see mountain gorillas in East Africa. This gorilla safari can be done at anytime of the year. This is the best selling trip. We strive to provide the best of services to surpass your expectations by providing the best Vehicles for African roads, the best Guides and also the best lodges for your budget. Despite the fact that Most people travel to Rwanda for the Gorillas, Rwanda has other wild animals and sites that are worth visiting. Did you know that Rwanda is assumed to have the largest habituated Chimpanzee family on the African Continent and is also home to the oldest Forest Reserve in Africa- Nyungwe Forest? Looking to trek Gorillas, chimpanzees, or see lions and the assumed source of the Nile in Rwanda. Our Rwanda safaris will take you to there. Looking o do a Rwanda safari and wondering about the Best Time to Visit Rwanda, or the Best time to see Mountain Gorillas, or the best time to do a Safari, or the Best Type of Visa to obtain to visit Rwanda,. Below we have provided this information. 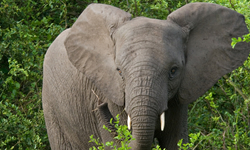 We can help you plan for your safari or Rwanda holiday vacation in the uncrowded destinations of Africa. We make traveling and tours to Uganda and Rwanda memorable ! Get away with an expert Company! Rwanda can be Visited any time of the Year and thus you can take on a Rwanda safari anytime of the year. However most people prefer visiting Rwanda during the drier months of June to September and December to February. The temperatures during these months are warmer, however during other months the country receives more showers. despite the fact that the country receives showers it does not stop Gorilla trekking from taking place or any other safari activity. Therefore there is always advisable to carry a rain coat no matter the Month. For Those Traveling to Rwanda for a safari we recommend that you Obtain the Rwanda Visa prior to your travel at the nearest consulate to you or embassy. If there is no consulate closer to you then you can apply for the Rwanda Visa Online and then later use the approval letter to obtain a Visa on arrival. The Tourists Visa costs USD 30 single entry whereas for those who plan to visit other east African countries like Kenya and Rwanda, we recommend to obtain East African Tourists Visa which costs USD 100. Like any other Africa Safari, one has to carry a water proof backpack, a camera, binoculars especially bird lovers, a rain coat, Hiking/walking Boats, Shorts, T-Shirts to mention but a Few. For more information about your Rwanda Safari send us an email.